Hooray! An Open-Source Password Analyzer Tool! I’m one of the resident “Password Hawks” in our office. Our techs consistently tell people to create stronger passwords because it is still one of the most common ways a hacker is able to infiltrate a network. However, we live in an age where it’s not just hackers who are trying to steal an organization’s data. 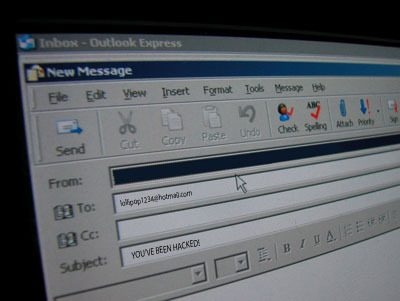 There are also a variety of malcontents who simply want to hack into someone’s account in order to embarrass them, confirm something negative about them, or be a nuisance by sending spam. This is why it is important to create a strong password; one that will not be easily cracked. Enter password analyzer tools. Sophos’ “Naked Security” blog posted a great article today about the often misleading security policies of popular online social sites. Developer Cameron Morris discovered that if he followed one social site’s policy, he actually created a more easily “crackable” password than the one they deemed weak. There is a free analyzer you can use and I strongly suggest you test the strength of your passwords with it. Also, Morris created a tool for administrators that would allow them to configure a password policy based on the time to crack, the possible technology that an attacker might be using (from an everyday computer on up to a $180,000 password attacker), and the password protection technology in use (from Microsoft Windows System security on up to 100,000 rounds of the cryptographic hash function SHA-1/). This is one of the best articles I’ve read on password security, plus it has tools for both the end-user and the administrator. Test them out yourself to see if you have a password that can resist a hacker! Have a great Memorial Day weekend (for our U.S. readers) and stay safe out there! My last post discussed some tactics for realizing what’s happening under the hood of our browsers when we’re surfing the web, and hopefully generated some thoughts for novice and intermediate users who want to browse the Internet safely. This week, we’re going to look a step beyond that and focus on steps to protect our passwords and data from unwanted visitors. Passwords are the bane of every system administrator’s existence. Policies are created to secure organizations, but when enforced they cause people to have trouble coming up with (and keeping track of) the multitude of passwords necessary. As a result, people commonly use the same passwords in multiple places. This makes it easier on us as users because we can remember puppy123 a lot easier than we can those passwords that attackers can’t or don’t guess. Doing so also makes it easier on attackers to find a foot hold, and what’s worse is that if they are able to brute force your Yahoo! email account then they now have the password to your online banking, paypal, or insurance company login as well. Hopefully some of you are thinking to yourselves “Is this guy telling me I shouldn’t be using the same password for everything?” If you are, you get a gold star and you’re half-way toward a solution. For those of you who are not, either you have mastered the password problem or still don’t care- in which case I’ll see you when our Incident Response Team is called to clean up the mess. To solve this problem, find your favorite password manager (Google will help with this), or use what our team uses- KeePass. This is a fast, light, secure password manager that allows users to sort and store all their passwords under one master password. This enables you to use puppies123 to access your other passwords, which can be copied and pasted so you have no need to memorize those long, complex passwords. KeePass also includes a password generator. This tool lets users decide how long and what characters will make up their passwords. So you’re able to tailor passwords to meet any policy needs (whitespace, special characters, caps, etc) and not have to think about creating something different than the last password created- the tool handles this for you. In addition to password composition, this tool lets you decide when and if the password should expire so you can force yourself to change this on a regular basis- this is an invaluable feature that helps minimize damage if and when a breach DOES occur. Once passwords are created, they are saved into a database file that is encrypted- so if your computer is lost, stolen, or breeched in some other manner, the attacker will have a harder time getting to your protected password data. There are many of these solutions available for varying price ranges, but I highly recommend KeePass as a free solution that has worked really well for me for quite some time. It’s amazing how nice it is to not have to remember passwords any longer! Okay, so our passwords are now safe, what about the rest of our files? Local hard drive storage is a great convenience that allows us to save files to our hard drive at will. The downside to this is that upon breaking into our PC an attacker has access to any file within their permission scope, which means a root user can access ALL files on a compromised file system! While full disk encryption is still gaining popularity, “On the fly encryption” products are making their mark by offering strog and flexible encryption tools that create encrypted containers for data that can be accessed when given the appropriate password. I have used the tool TrueCrypt for years and it has proven to be invaluable in this arena! TrueCrypt allows users to create containers of any size which becomes an encrypted drive that can be accessed once unlocked. After being locked, it is highly unlikely that an attacker will successfully break the encryption to decipher the data, so if you’re using a strong password, your data is as “safe” as it can be. This tool is one of the best out there in that it offers on the fly and total disk encryption, as well as allowing for encryption of individual disk partitions including the partition where Windows is installed (along with pre-boot authentication), and even allows these containers to be hidden at will. Wow, we’ve gone through a lot together! You’re managing passwords, protecting stored data, learning what’s going on when your browsing the web, and becoming a human intrusion detection/prevention system by recognizing anomalies that occur in regular online activities! Visit next time as I explorer updates with you to round out this series on basic user guidelines.